Have you ever wondered why that expensive face cream you've been using for a while does not live up to its potential? You shouldn't blame it on the cream. The brightness and the healthy aspect of your skin also can be achieved by eating healthy foods. A healthy lifestyle and the rituals of applying face creams and serums go hand in hand, so you shouldn't neglect either. If your skin has been a little dull lately, and you feel like it needs help from the inside, then this article will be right up your alley. Keep reading to discover what foods have amazing properties for your skin. Fish is good for you, but particularly wild salmon, because it is packed with Omega-3 fatty acids. Omega-3 is a powerful anti-aging ingredient, which will make your skin feeling softer, smoother, suppler, and less dry, by retaining the moisture. If you have dry or problematic skin, then I recommend you eat salmon twice a week. Although strawberries are seasonal, the good thing is you can freeze them and enjoy them all year long, because they won't lose their nutrients. A cup of these delicious fruits has 130% of the daily recommended intake of vitamin C. Vitamin C is a powerful antioxidant that will help your skin with collagen production, which will make your skin smoother and suppler. 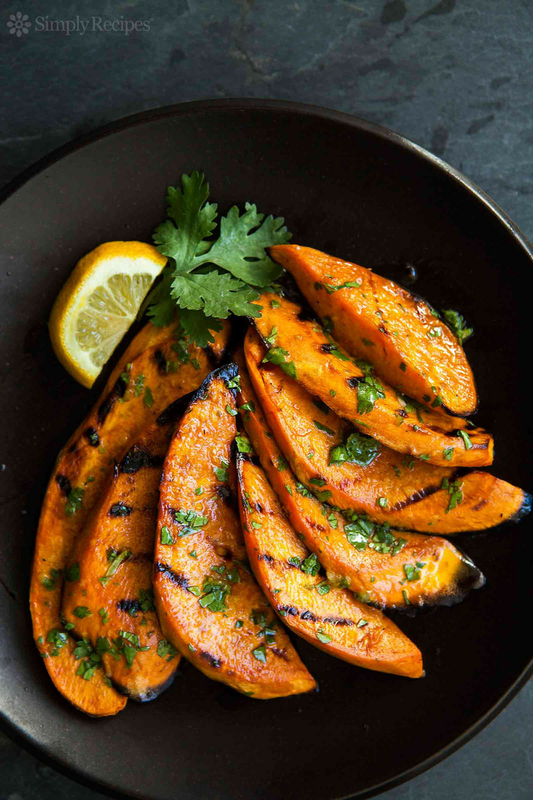 Sweet potatoes are the healthier version of regular potatoes. They are packed with beta-carotene, which will be transformed into vitamin A by our bodies. Vitamin A is widely used in anti-aging face creams or serums, because it has properties that fight free radicals and signs of aging, and it protects our skin's cells. Try to include sweet potatoes in your meals a few times a week, and you will soon see a difference. Kale, watercress, Swiss chard, and spinach are the best greens for you, because they contain lutein to protect your skin and keep it hydrated. Romaine lettuce is also a great green you can add to your meals. It contains vitamin A, vitamin K, and mineral potassium, which will improve skin's circulation. In the last few years, you've probably noticed avocado has become a popular, healthy food and for good reasons. Avocados are good for your skin, because they contain vitamin E, known for its moisturizing properties. Not only will vitamin E improve the aspect of dry skin, but it also has the potential to fight free radicals and protect your skin against UV rays. Tomatoes are high in lycopene, which will help protect your skin against sunburns, and it will also improve the collagen levels, which will make your skin firmer and suppler. Sun damage is one of the main reasons for aging skin, so tomatoes will be your best friend in this battle. Free radicals are bad for our skin, because they harm the cells, making them more prone to aging. To fight this, we need to consume healthy foods, high in antioxidants, and blueberries are our best bet here. With only half a cup per day, your body will receive the proper amount it needs to make your skin look younger and healthier. It's time to get back to your beautiful glowing skin by including healthy foods in your daily routine.